Tamron is committed to meeting diversifying market needs and developing and manufacturing outstanding products. 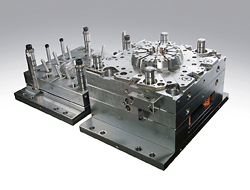 The company owns facilities and equipment for the design and production of high-precision mold, where it manufactures a range of precision equipment and optical-equipment parts. Tamron is also dedicating resources to the introduction of next-generation injection-mold production equipment, which will further strengthen its development capabilities and dramatically reduce the lead time required for die production. 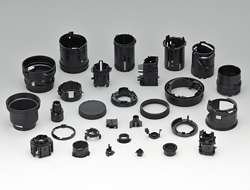 Tamron has gained steady experience over decades in production of key components with plastic high-precision injection molded materials for precision equipment as well as optical products. From molding die design, modeling simulation, to production, the entire process is performed under full supervision of our experienced engineers, fully committed to delivering parts and components fully compliant with spec requirements.